I can't say enough about Maria, Kristina, and Roxana, the women at MKR Creations. I met two of them at the CPN So Cal meetup and they are lovely and so creative. 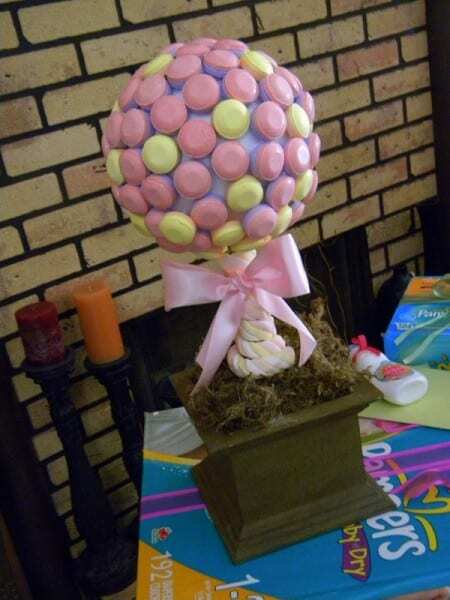 They created this adorable candy tree topiary for their Y's Diapers and Wipes Shower using Smarties Pops and marshmallow rope. I just love it. 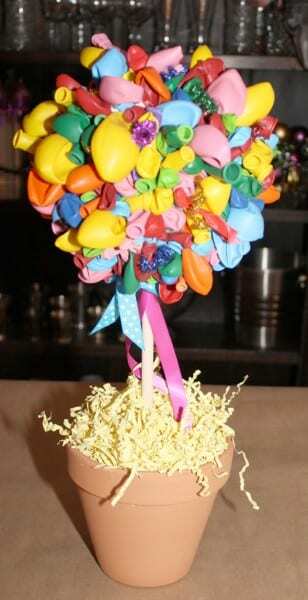 I spotted these adorable balloon topiaries at Emily W's Audrey's Art Birthday Party and had to know how she made them. She kindly put this tutorial together, so a big thank you to you, Emily!